“We were very thankful that we found Debbie and she helped us sell our house. 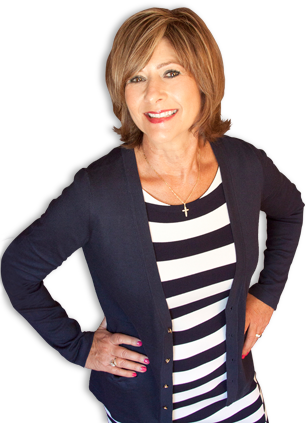 She was especially knowledgeable with Lake Norman properties, and we appreciate that she was always very attentive to our needs. It was reassuring to know that she was always reachable by phone and many times she made visits to our home to cover for us as we were out of state. The whole process went smoothly and we were able to sell quicker than we had expected. We would definitely recommend Debbie to our friends and neighbors. I’d like to thank you for your recent help with selling our house. Your attentiveness and professionalism was outstanding and I felt complete confidence that we were in good hands. As a side note, you told us exactly how long you thought it owuld take to sell and you were exactly right! Even though leaving is not a “fun” thing to do, you certainly made it easier for us. “We met Debbie Beam when we decided to sell our home just after the 9/11 tragedy. At that time real estate was definitely on a down hill slope, and the market was at it’s worst. However, Debbie tried everything to sell our home. She held a luncheon, had several open houses, advertised numerous ways, remained optimistic, re-assuring, and very upbeat, all to no avail. After much thought we decided to take it off the market until a later date. Even after we had taken it off Debbie would still take valuable time away from her days looking for something that might interest us. In Feb. of 2004 Debbie advised us she felt it was time to re-list our home. She again, spent countless hours showing us listings of interest. In March of 2004 she showed us a house we liked and felt it would meet our needs. We entered negotiations to purchase with a May 18th closing date. During this time Debbie continued to show our house to many interested buyers. On the “DAY” we were to “CLOSE” on the new property Debbie brought us an appealing contract on our house that we accepted. To this day I’m still wondering how she pulled that one off!! Debbie was always honest and up front with us and was very patient when answering our questions and putting our concerns and anxieties to rest. Debbie treated us like a special friend, not just a client. We want to take an opportunity during the holiday season to thank you for your efforts in find a buyer for our waterfront lot in Denver. You were able to find us a buyer and close the transaction in less than 90 days, whereas a previous top rated real estate agent was unable to sell the lot for us in eight months. You held the discussions together between the buyers and ourselves while the price for the lot was negotiated successfully. We are very happy with the price you negotiated for us. You made sure that the buyer secured financing within two weeks of the parties signing the contract. You established the closing date with the buyers lawyer and held everyone to that closing date. You worked with the buyer, ourselves and the Company building the pier and boat dock to make sure that the pier and dock were completed before the closing date. When the buyer made some changes to the boat dock plan, you did what was necessary to make sure that the changes did not delay the completion of the pier and dock. Access to the lot is via an easement across a neighbors property. The easement will contain the utilities and driveway. You made sure that we had all the documentation in place for the easement, the location of the driveway on the easement, (a critical issue for the neighbor) and written documentation from Lincoln County confirming that they will provide water and sewer to the future home on the lot. It took a month to successfully resolve the easement issues and you stayed on top of the issues the whole time. Finally, at the eleven hour, when it was discovered that the sellers that we originally purchased the lot from had not signed their paperwork correctly, you drove 200 miles to have them resign the documents, have them notarized and to the lawyer to close the transaction on time. Debbie, you went beyond the call of duty, time after time after time. When the buyers said in and email, “Debbie you are awesome,” they were telling the truth. Debbie you truly are awesome. Nobody could have done what you did and ensure that we closed on time. You did it and you did it nicely while maintaining great relationships with all of the parties involved. If at anytime in the future, any of our family or friends are in need of a real estate agent, you will be the only agent we can honestly recommend. Many thanks for everything you did for us.